Having reliable air tools is essential for industrial operations, and having a dependable industrial supplies distributor to get you the products you need is equally as important. 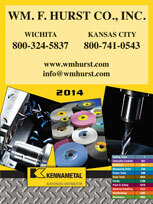 If your business is in Kansas City, Wichita, Dallas, Fort Worth, or any surrounding city in the Midwest, you can always count on the experts at Wm. F. Hurst Co., LLC, to provide you with exceptional tools and unmatched customer support. We’ve been supplying businesses across a wide range of industries with quality industrial supplies since 1962, and we are familiar with a wide range of industrial processes and have the knowledge to help you find the right tool for any application. In addition to air tools, we offer a wide range of other quality industrial supplies, including cutting tools, abrasives, and metalworking fluids (semi-synthetics and soluble oils). We also can help you choose the best fastening systems for your operation. 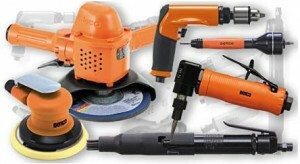 If you would like to receive more information on our industrial air tools, contact us today. Our knowledgeable sales associates would be glad to answer questions about our assortment of tools from Dotco, Cleco, or any of our other manufacturers. Wm. F. Hurst Co. proudly serves customers in Kansas City, Wichita, Dallas, Fort Worth, Springfield, Joplin, Sedalia, and many other cities throughout the Midwest.